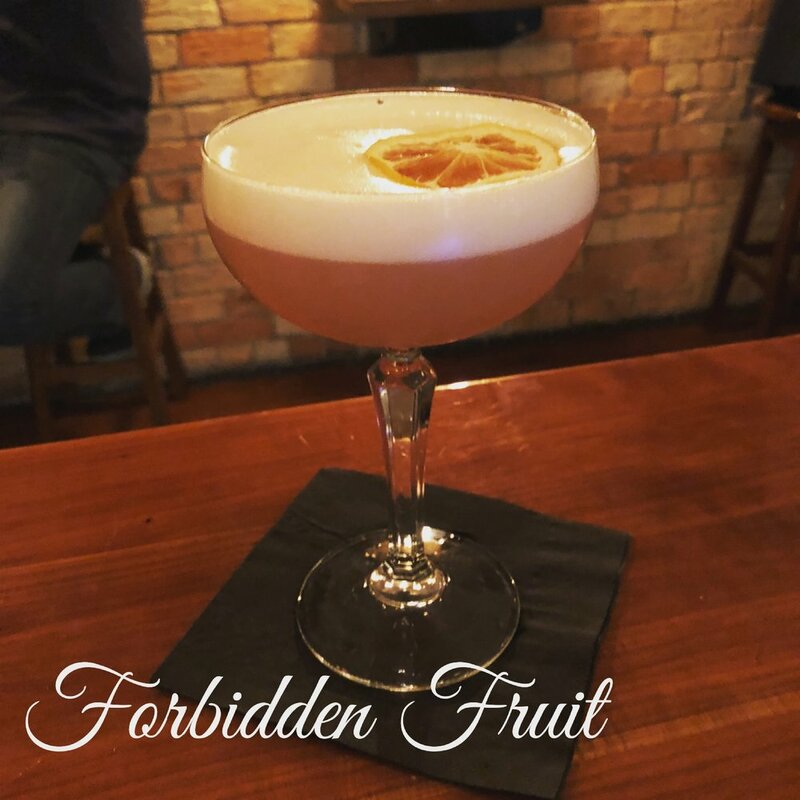 Forbidden Fruit — My Bar, Auckland - Bar & Function Venue. Craft Beer. Cocktail Bar. Gin Bar. Venue Hire. As the days become warmer and the nights still have a chill to them, we’ve decided to take a slightly summery drink and give it some body to create the “Forbidden Fruit”. A blend of Beefeater gin, apricot liqueur, fresh lemon, rose syrup and burlesque bitters and egg white to give the drink a nice creamy drinking texture. This is the perfect in between seasons cocktail.